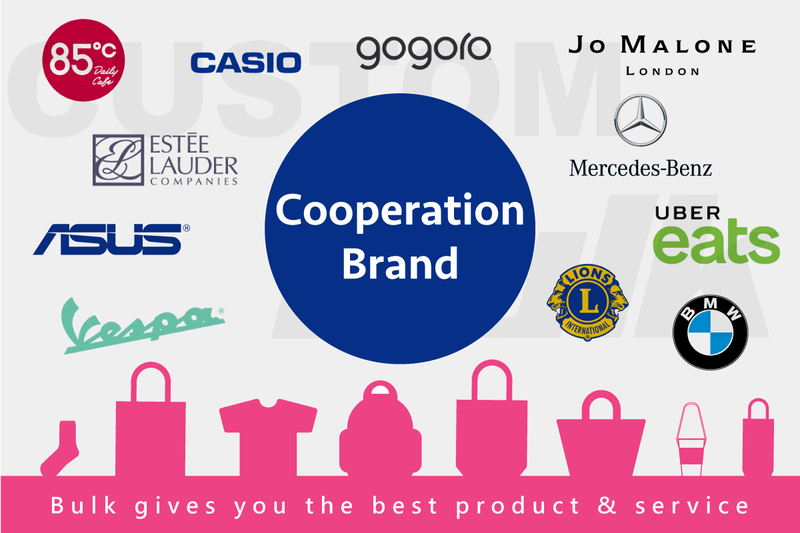 “BULK” is the featured sub-brand of Alliance Group, providing OEM service in customized bags. Due to customers demand, we continuously develop new materials like water-proof nylon, Tyvek paper etc. 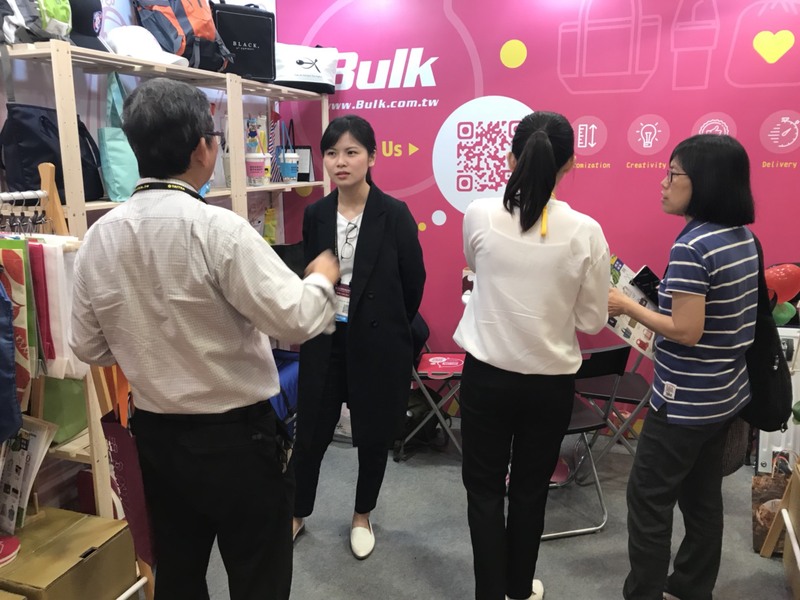 Through this exhibition, we not only have the chance to develop new business clients, but also have the chance to develop cross-industry alliance opportunities such as with Japan’s textile manufacturer, Taiwan’s cloth dyeing factory, and a company that recycle plastic debris from the marine environment to remake eco-friendly cloth by drawn work method. Alliance is very excited and looks forward to the collaboration in the making process of new materials. 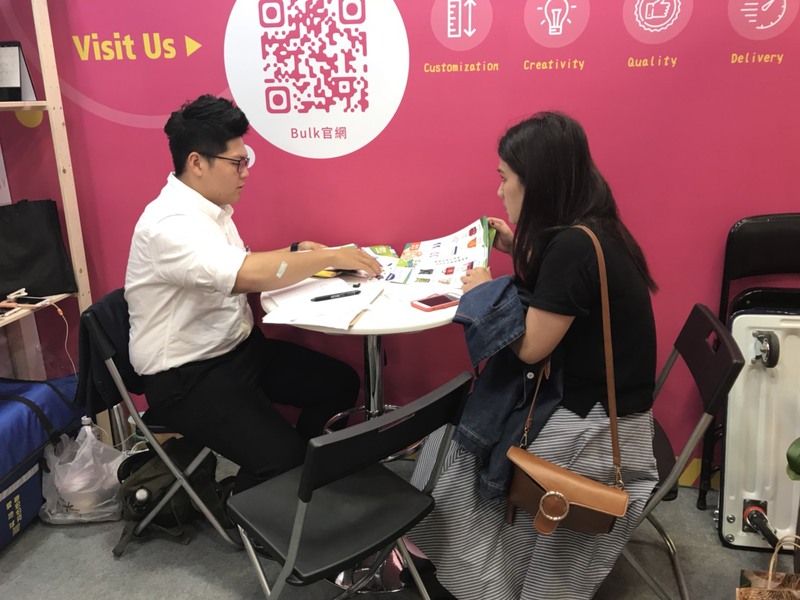 Although Alliance is a 40 years traditional company, the participation in “Giftionery Taipei” this year has provided opportunities for BULK’s younger team members, channelling their skills and fostering their creativity and individuality. 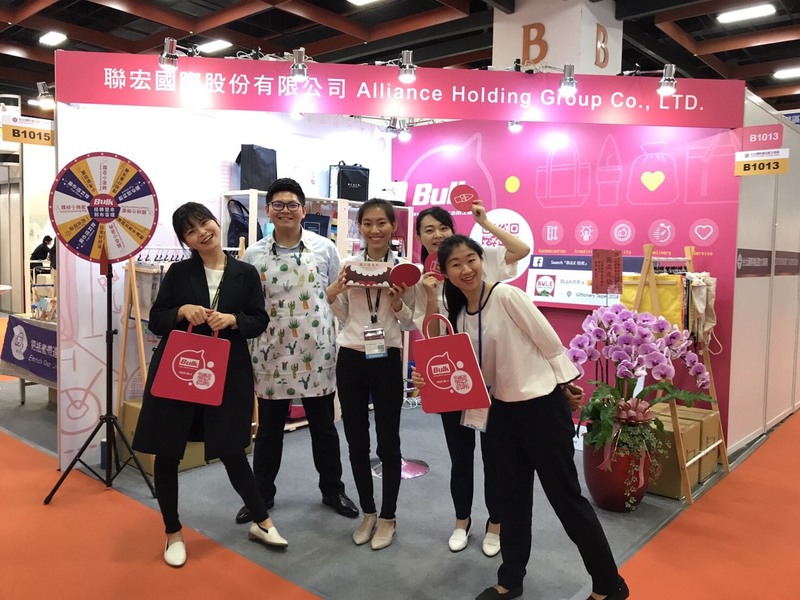 Other than product exhibition, we also carried out the lottery-turntable game and gave out souvenir bags to our customers to increase customer reliability on our quality. Nowadays, the public has higher environmental awareness than before, they started to reexamine the details of living, and value the function of a product more. As a local enterprise, Alliance will continue to improve our products, not only provide customers with the best proposal, but also make a contribution to the environment.